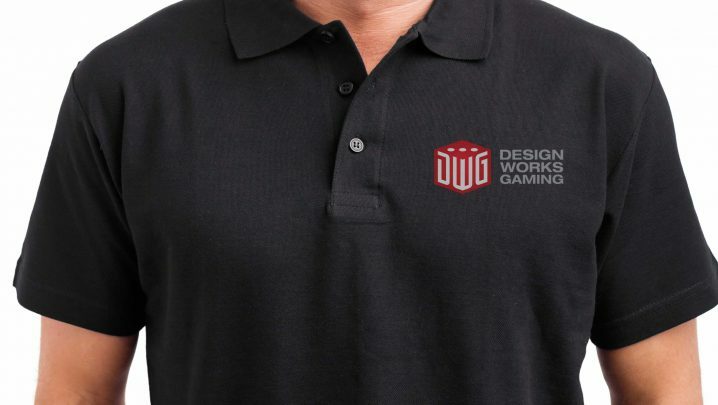 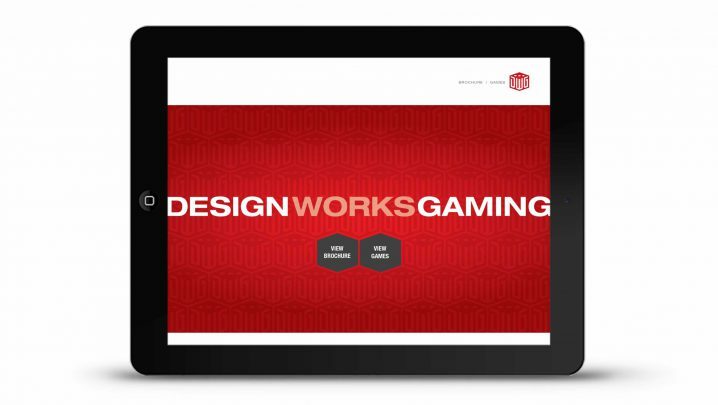 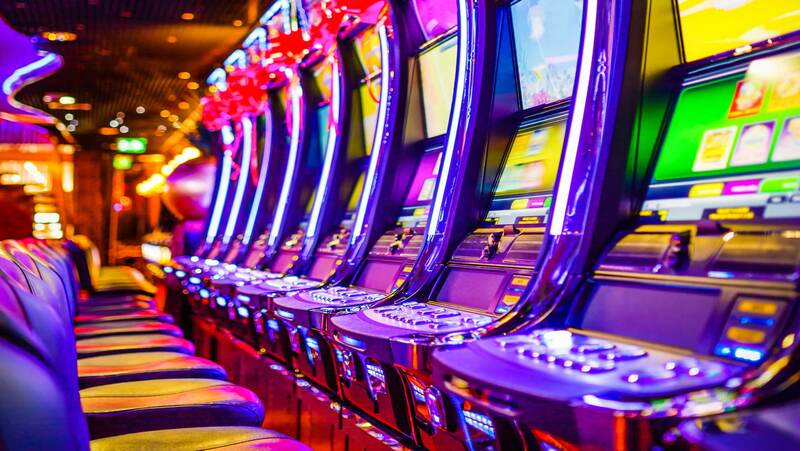 Design Works Gaming develops casino, internet, mobile and social gaming products. 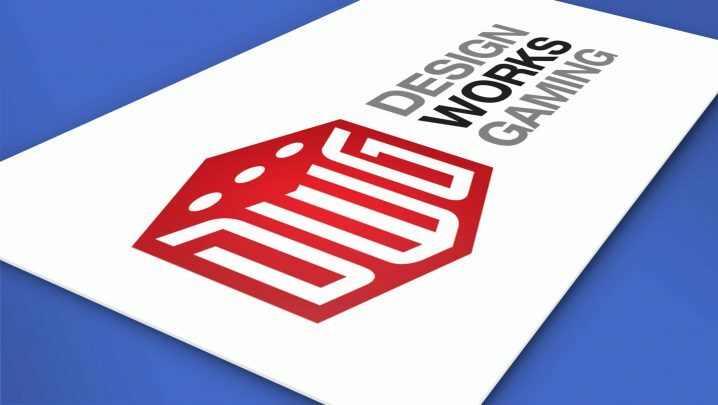 The rebranding effort began with a new logo design based on the classic red dice. 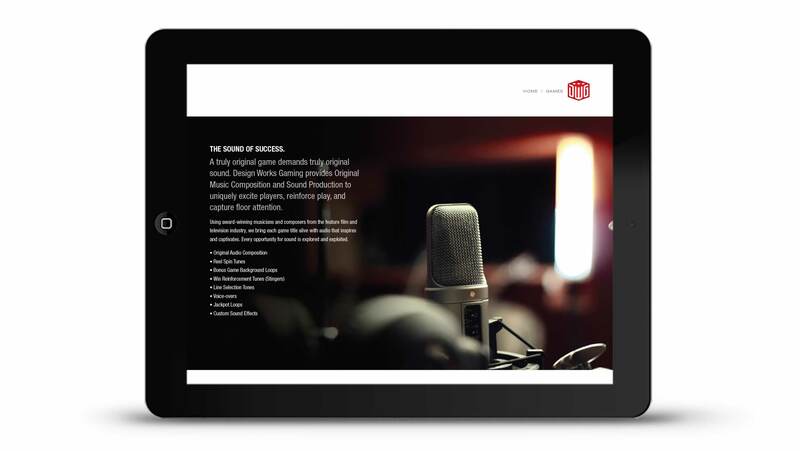 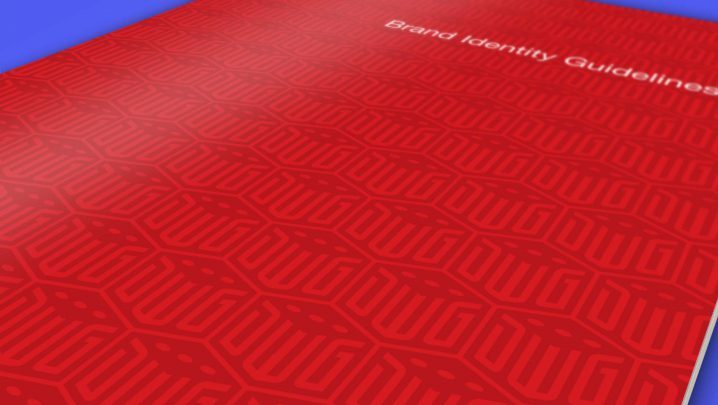 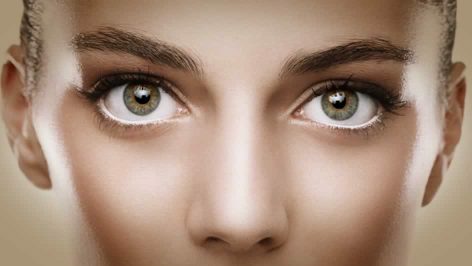 Identity guidelines were established for print and mobile applications. 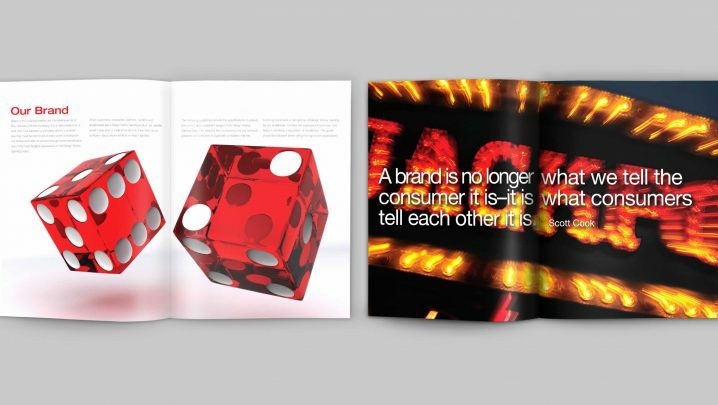 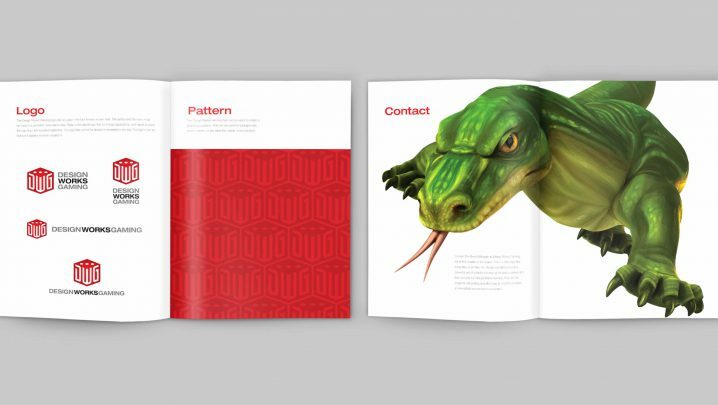 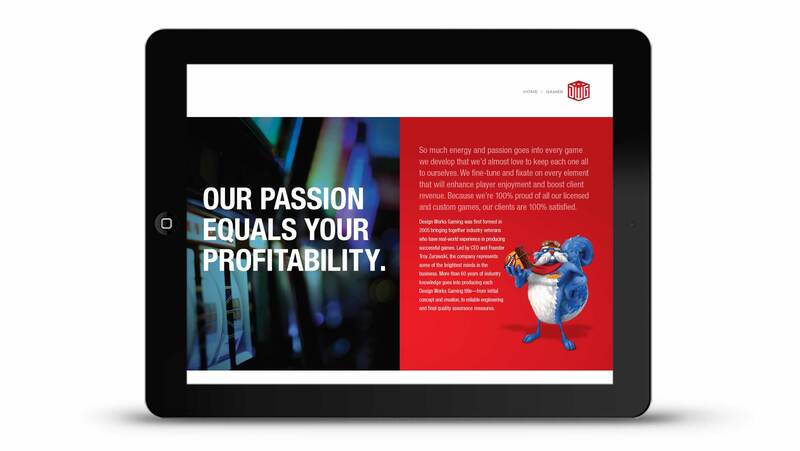 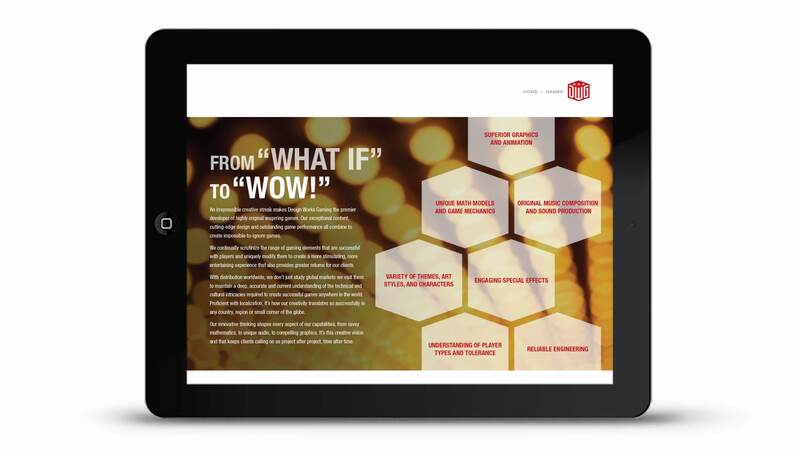 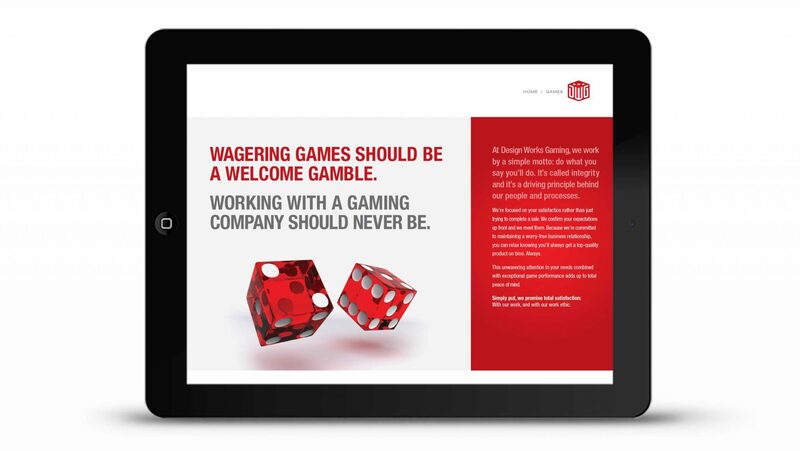 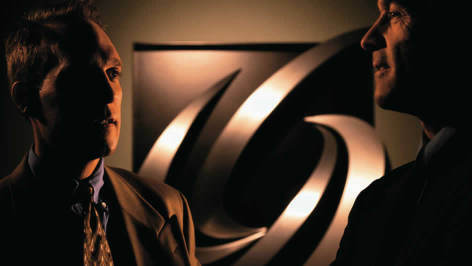 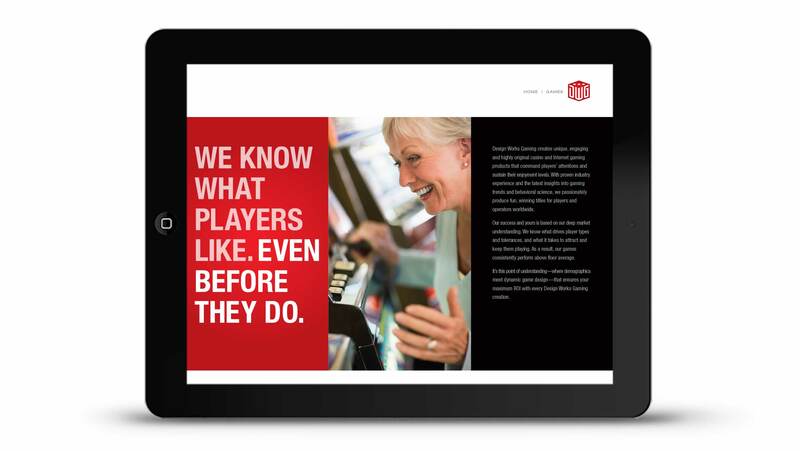 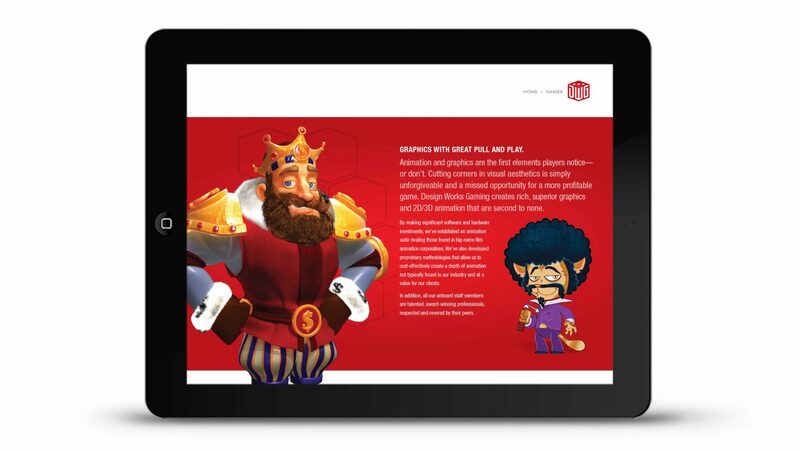 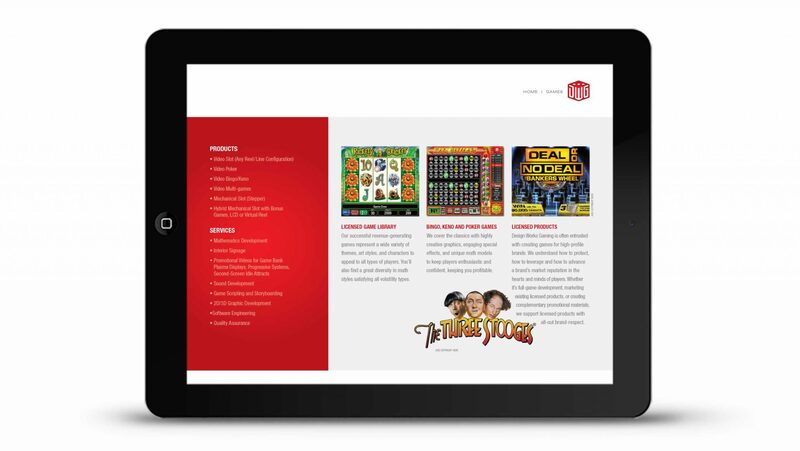 An interactive brochure showcased the company’s casino, internet, mobile and social gaming products. 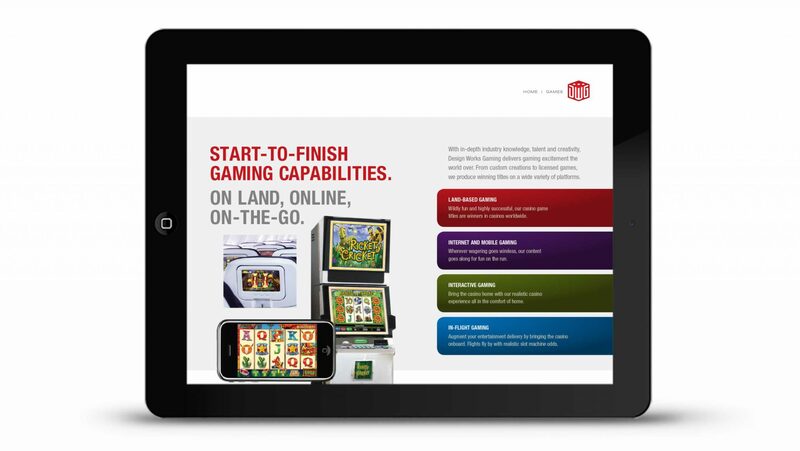 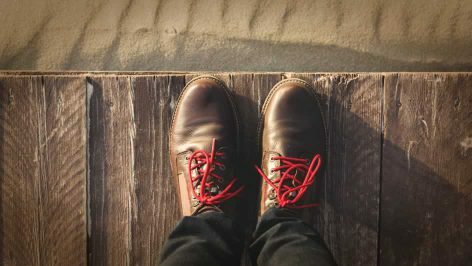 The use of embedded videos and game highlights made this a memorable presentation.